According to the newest data results from Strategy Analytics, Android hit an all-time high during Q2 of this year, reaching 85% of the global OS market share. 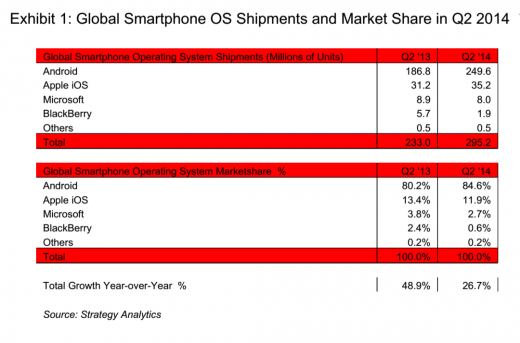 This is nearly a 5% jump in market share year-over-year, which had Android at 80.2% in Q2 of 2013. In second among other top OS platforms is Apple’s iOS, which commanded 11.9% of the market share during Q2 of 2014, down from 13.4% in 2013. It seems as though when folks leave iOS, they go straight to Android, as even Windows Phone, BlackBerry, and “Other” saw dips in numbers. 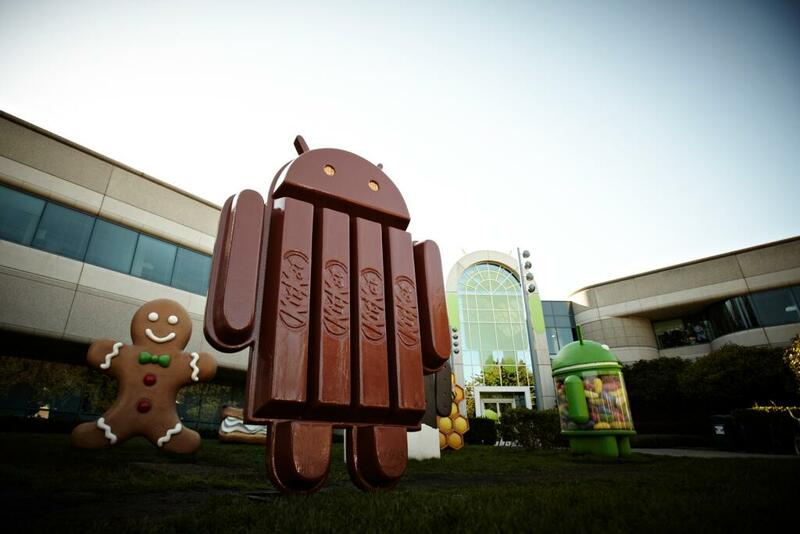 But what about individual Android OEMs? How did they fare? Samsung took quite a big hit in Q2 of 2014 from what the numbers show, claiming 25.2% of the market, down from 32.6% the previous year. Other Asia-based manufacturers, however, are on the uptick, including Huawei, Xiaomi, and Lenovo which are all around 5%. LG currently sits at the “bottom of the top,” with 4.9%.